1984 was a good year. Magnum P.I. Was solving cases on the television. Prince Harry came into the world over in jolly old England and, of course, the greatest movie ever made hit the silver screen. Obviously, we're talking about Ghostbusters. Bill Murray, Dan Aykroyd, Harold Ramis and Ernie Hudson hit gold when they made that movie. And the costumes? Brilliant! As costume enthusiasts we have to hand it to them for creating such iconic outfits and props. So, you got to believe we got some high quality recreations of Venkman's signature costume. 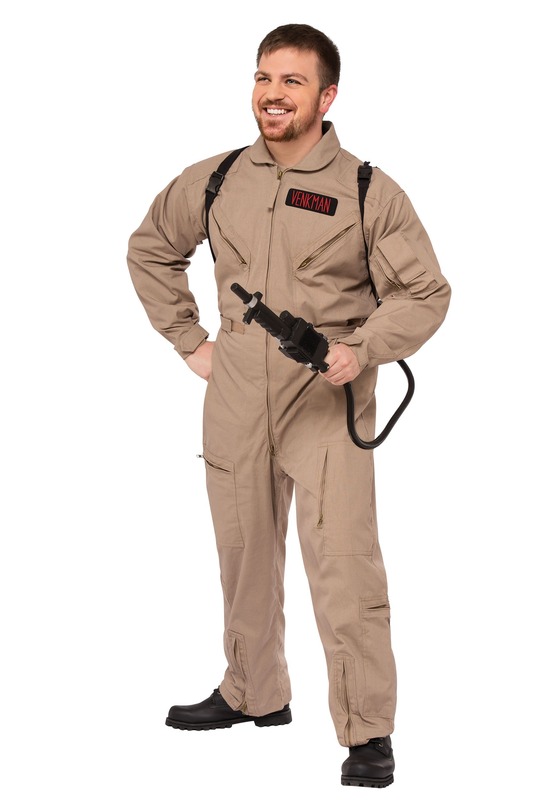 This Ghostbusters Grand Heritage costume is a high quality plus size costume based on the one worn by Peter Venkman in the 1984 film. The main costume is a singe-piece coverall jumpsuit that zips in the front. And holy moley does this thing have pockets. It has zipper pockets on the sleeves, the chest and on the legs, so you can store all sorts of ghost catching equipment inside of them. The costume also comes with a molded backpack designed to look like an unlicensed nuclear accelerator! 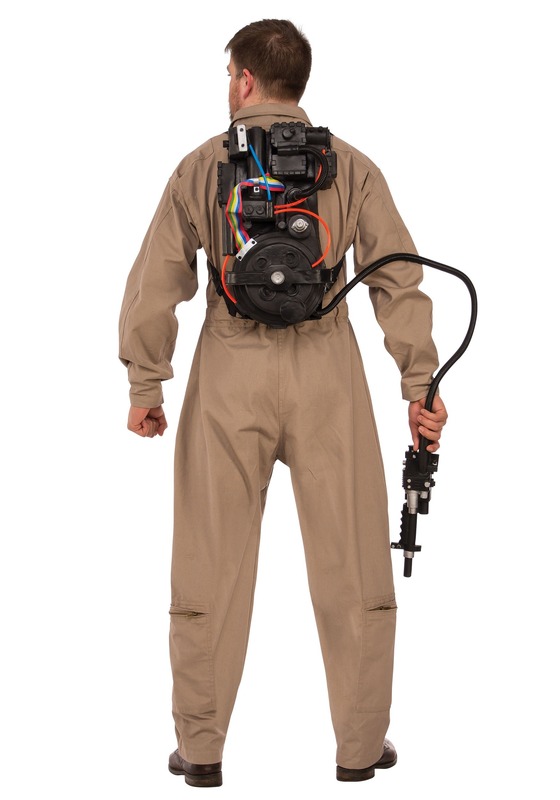 Of course, such equipment is dangerous, so we can't actually sell you a real Proton Pack, but this molded replica one does look great with the authentic costume, so you'll look ready to rumble with any ghastly apparition that's hanging out in your neighborhood. Once you've put the whole ensemble together, it'll be time to call up Stantz, Spengler and Zeddemore to save the day from all those nasty ghosts once again!